Did you know there’s another Star Trek show besides Deep Space Nine!? A BRAND NEW ONE! 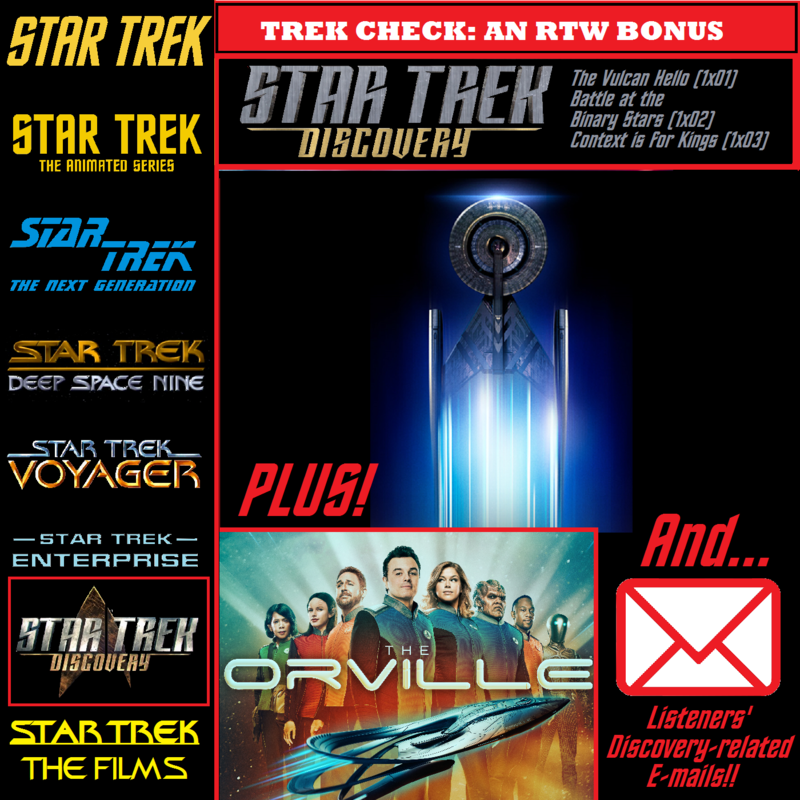 That’s right, the RTW crew is taking time out of their busy schedule of not making their 100th episode to give you the scoop on the exciting world of Star Trek: Discovery! Not only that, but they’ve got a bunch to say about The Orville as well. Join them as they talk about the Klingon Kontroversy, Michael Burnham, sick Lorca Burns, the joys of Lt. Saru, spore drives, Michelle Yeoh, the new intro, and all that other Discovery good stuff. To top it all off, we’re reading YOUR Discovery related emails, and concluding this Discovery discussion the only way we know how: by ranking the top five DS9 villains! This is one STD you’re gonna want to catch! It’s all right here. The address is Mr. T’Kuvma’s house.